DAVID LE/Staff photo. 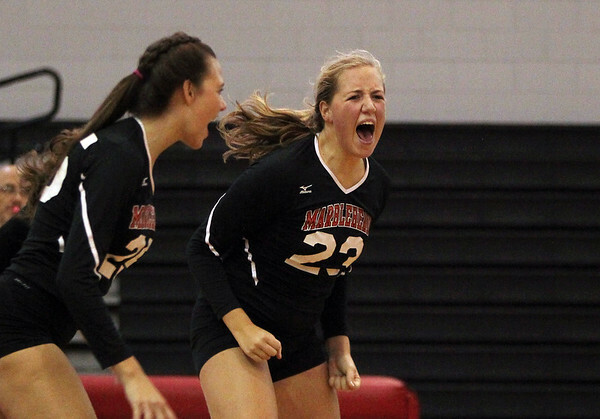 Marblehead junior opposeite Abby Settelmeyer (23) celebrates her block against Hamilton-Wenham. 10/2/15.